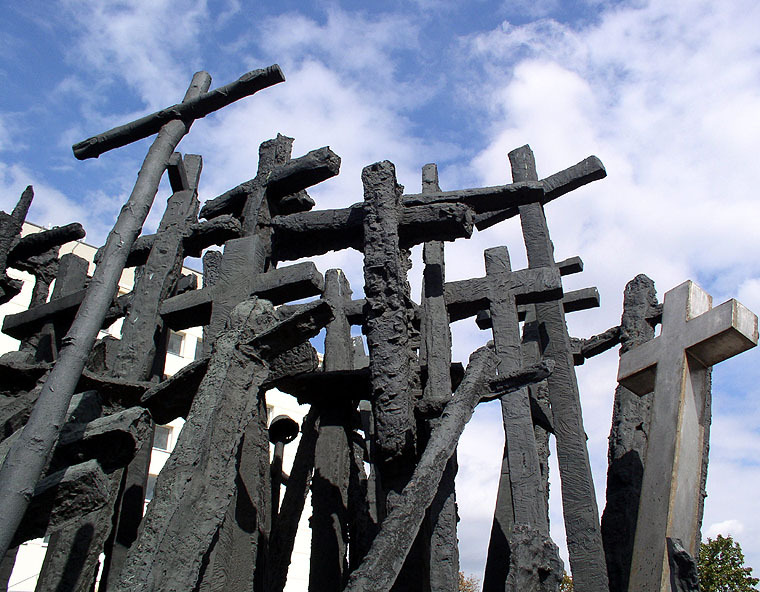 After the Soviets invaded Poland in 1939, they deported the population of Eastern Poland to Gulags; killing approximately 30,000 POW’s in Katyn. 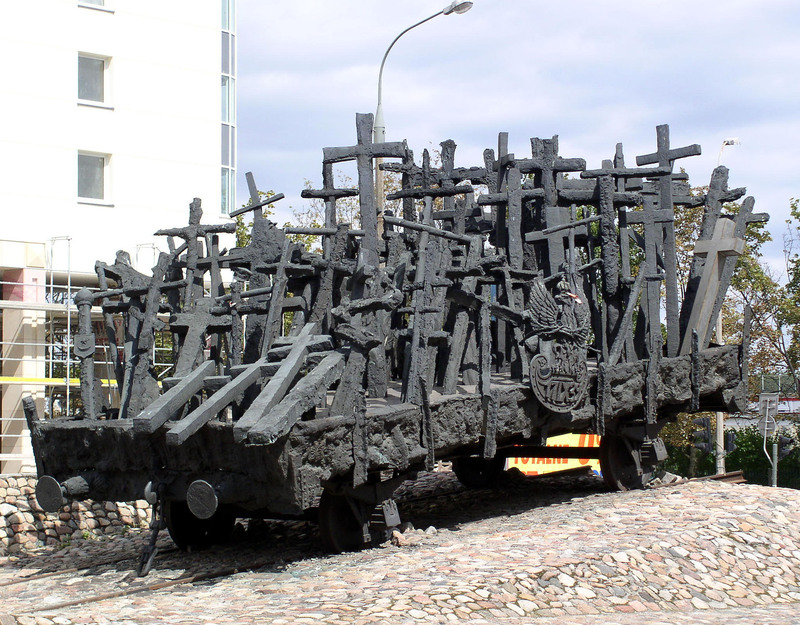 The railway track and a wagon are similar to those used for deportation; the names on the tracks represent the towns that were evacuated. The various religious symbols on the wagon represent the ethnic and religious mixture that had populated the Polish eastern borderland.